Having 60% share in halva and jam market, 60 years old Seyidoglu company was established in Gaziantep by Habes Seyidoglu, a master of shoe maker. Gulluoglu’s making its major progress in the business starts with his meeting with now son-in-law, Necati Goksu in the 70’s. Goksu family was the sugar and butter supplier for Seyidoglu. Goksu now is the chairman of the company. He introduced his company that exports its products to 15 countries. Who is Necati Goksu and how is his past? My family has a wholesale shop in Gaziantep, I have been working there for years and then we moved to Istanbul. Then there was a wave of immigration to the city. We found a small shop in Fatih and started to sell food products we brought from Gaziantep. Gaziantep Food Market, was retailing and selling regional produces. I personally have been waking up before sunrise and prepare daily deliveries including the newspapers, breads and other utilities. I personally deliver them to our customers. We have been trading with wholesalers in Unkapani, we learned much from them. In 1972 we moved to Unkapani as a food wholesaler. In those years, sugar, butter and oil were in scarcity, and were sold in black markets and on queues. We were the major supplier of sugar and oil to the leading producers of sweets in Istanbul, such as, Seyidoglu, Hacibozanoglu, Gulluoglu, Cavusoglu, Kasibeyaz and Develi. My father died, and in 1976 my family has married me with the daughter of Habes Usta, who was already know me as a seller In 1985 we separated our ways with my brother and losing some money, I moved to Rami Wholesaler’s market. In those years my father-in-law has been producing jams and halva in his small shop. He was a master of baklava at the same time. Together we made Seyidoglu a major name in the market. What does the Seyidoglu company now? I bought the brand name from Seyidoglu family and registered a new brand as Sultan Baci. In the meantime, we moved production facility to Tuzla from Gungoren, then to our facility of 8 thousand sqm in Hadimkoy. Now we employ about 571 personnel. My elder son Mehmet is general manager, the other son Murat is responsible for the shops. I am the chairman of the company. We produce 25 tons of halva, 20 tons of tahini, 15 tons of jam daily in our factory in Hadimkoy. We produce on traditional recipes. However, we are working on the development of halva with Omega 3 and some diabetic products. We have about 200 varieties in our product portfolio in the fields of halva, jams, tahini, grape molasses, hazelnut creams etc. At present, we export our products to 15 countries. 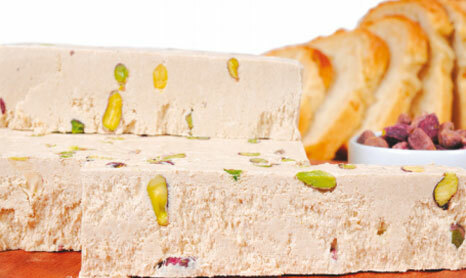 Libya, Algeria, Arabia and Middle East countries demand more halva. Buyers in England, Germany and other European countries prefer jams. Sultan Baci jams are sold well in England, Turkish delights in Russia. We have 16 retail shops. We are going to establish a chain of stores for our 20 years old brand Sultan Baci. It is the only Made in Turkey jam sold in non-ethnic markets in England.